The Company’s objective is to achieve long-term capital growth by investment in companies whose operations at the time of the initial investment are principally in Greater China (“Investee Companies”) or investment vehicles to be used to acquire the foregoing. The Company intends to provide shareholders with returns on their investment predominantly through capital appreciation. The Company will target Investee Companies with annual revenues between $10 million and $150 million and annual net income between $1 million and $15 million. Investments will be made in Investee Companies which are already listed on a stock exchange or expected to be listed on a stock exchange concurrently with the investment by way of reverse takeover of an existing listed company whose assets are primarily cash. 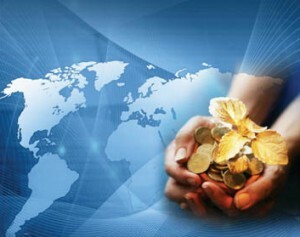 The Company may also invest up to 20% of the NAV at the time of investment in private Investee Companies. Subject to Board approval, the Company may make investments which do not fit the criteria. The Company will not invest (or commit to invest) more than 15% of the NAV (on a cost basis) in a single investment without the Board’s prior approval. The Company will not without Board approval invest (or commit to invest) less than $200,000 in any Investee Companies except investment vehicles to be used to acquire Investee Companies. The Company does not intend to borrow funds, however, it may be indirectly exposed to the effects of gearing to the extent that Investee Companies have outstanding borrowings. The Directors reserve the right to borrow up to 25% of the NAV at any time. Any such borrowings are subject to Board approval.